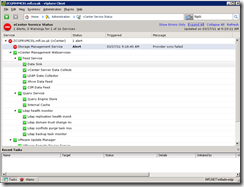 There are a few more covered later in this objective for restarting management agents on ESX/i hosts. This VMware article on resolution paths is a great place to start learning about troubleshooting. Check the VMware vCenter service is started and the account it’s configured to run as. Check that account isn’t locked out. ‘vpxd.exe –s’ to start it as an application rather than a service. This will show error messages in plain text rather than the cryptic service codes. 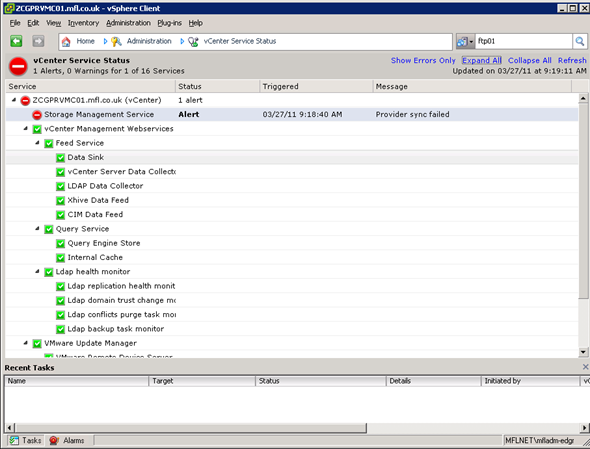 With a lab setup and SQL Express the database often grows to the 4GB limit, at which point the vCenter service will fail. Follow VMwareKB1025914for details of how to cleardown data in the vCenter database. Check the ODBC connectivity using the ‘Test’ button. Check the SQL security http://premier-pharmacy.com/product/eriacta/ logs to see failed authentication attempts. VMwareKB1003979 gives a good overview of the previous processes. More for curiosity than likelihood of any exam related questions, check out this blogpost by Jason Boche about modifying vCenter configuration via the vpxd.conf file. There’s not that much to the Service Console firewall. One good step is to allow all outbound and incoming traffic and see if that resolves the issue – if so you can reenable rules and narrow down the specific ports required. Use esxcfg-firewall -l to reload the firewall rules and ensure they’re up to date. NOTE: When enabling or disabling services using esxcfg-firewall they’re case sensitive (like most things at the command line).